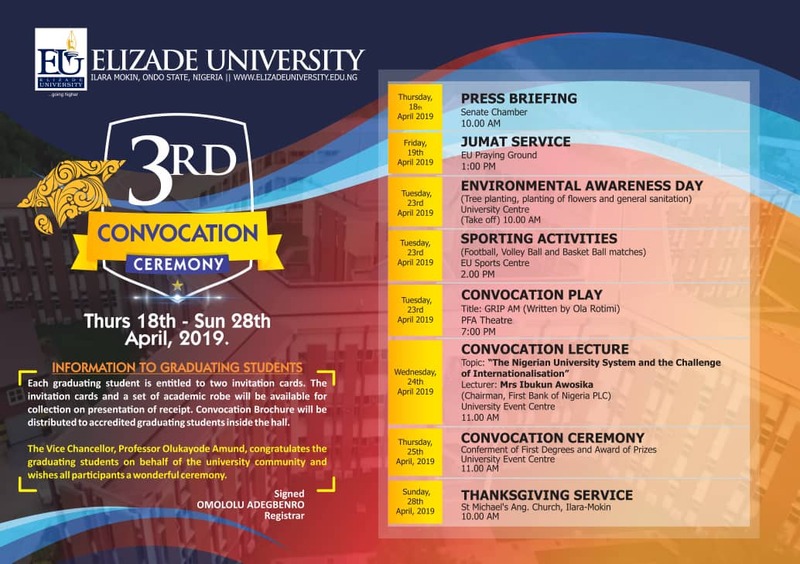 Elizade University Convocation Ceremony Programme of Events. 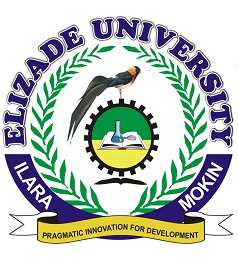 Elizade University 3rd Convocation Ceremony will hold between Thursday, 18th April, 2019 and Sunday, 28th April, 2019. Each graduating student is entitled to two invitation cars. the invitation cards and a set of academic robe will be available for collection on presentation of receipt. Convocation Brochure will be distributed to accredited graduating students inside the hall.